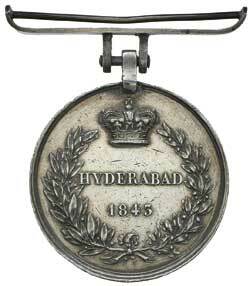 SCINDE MEDAL 1843, Hyderabad reverse. M/I RJA Homed Beg 3rd Lt Cavy. Impressed and renamed. 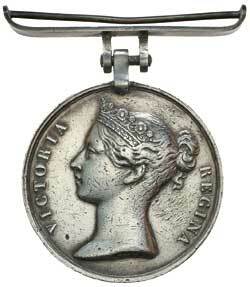 No ribbon, contact marks, otherwise fine.